Dr. Melisa Lai-Becker received her medical degree from Warren Alpert Medical School of Brown University. She completed her emergency medicine residency at Massachusetts General Hospital/Brigham & Women's Hospital as well as a Harvard Medical Fellowship in Toxicology. Dr. Lai-Becker is board-certified in toxicology and emergency medicine. In 2006, Dr. Lai-Becker began working at Cambridge Health Alliance at CHA's Cambridge Hospital campus as an emergency medicine physician. She established CHA's Division of Medical Toxicology in 2009 and has since served as the program’s Director. Dr. Lai-Becker’s achievements include being awarded the Cambridge Hospital Department of Emergency Medicine Outstanding Achievement Award in 2007 and the Cambridge Hospital Department of Emergency Medicine Outstanding Provider Award in 2011. In 2011, Dr. Lai-Becker received the Massachusetts General Hospital Pediatric Residency Outstanding Community Teaching Award. Additionally, she was awarded the 2016 Overdose Prevention and Education Network (OPEN) Public Health Hero. 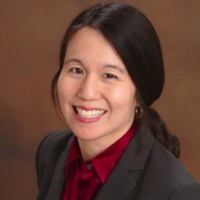 Dr. Lai-Becker is currently the Chief of the Emergency Department at Whidden Memorial Hospital in addition to her role as Director of Division of Medical Toxicology at Cambridge Health Alliance. She also serves as a faculty member of MA/RI Poison Control Center at Boston Children's Hospital, is the President-elect at Massachusetts College of Emergency Physicians (MACEP) and is an instructor in Emergency Medicine at Harvard University.